Editor’s note: An earlier version of this story combined older 2015 Census data with newly released 2016 Census data. The story has been corrected and updated. WASHINGTON — Five of the fastest growing cities in the nation are in Texas, but as measured simply by the number of new residents, D.C. makes the top 15. 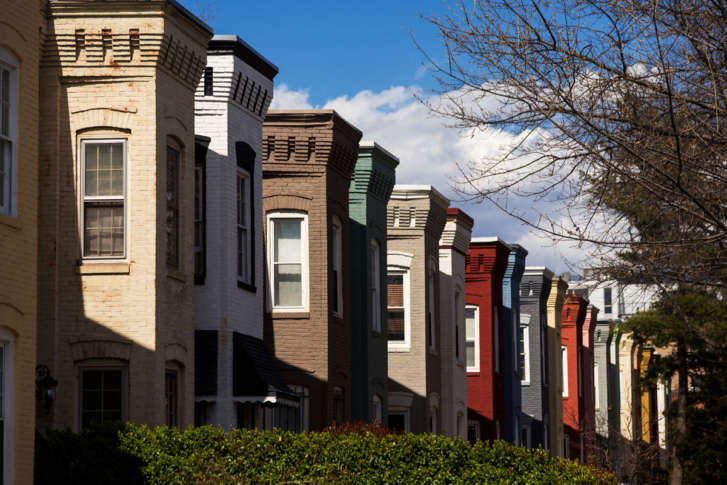 The Census Bureau says between 2015 and 2016, the District’s population grew by 10,793 residents, to a total of 681,170. That ranks the District’s population growth, by number of people, No. 15 on the Census Bureau’s top 15 list, just behind Miami City, whose one-year population growth was 12,715. 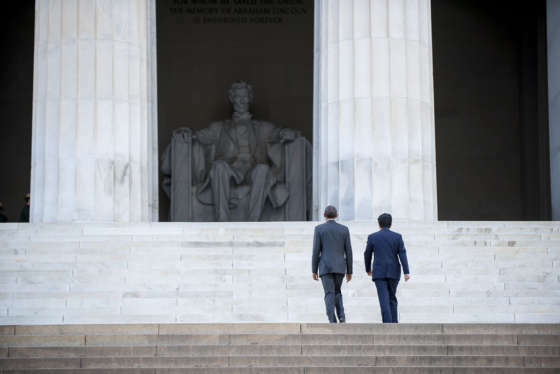 Tourists comes to D.C. for the museums and monuments, but a TripAdvisor list of the Top 10 Landmarks in the U.S. includes only one of Washington’s iconic landmarks. The largest growth by number of new residents was Phoenix, gaining 32,113 new residents between 2015 and 2016. That was followed by Los Angeles, San Antonio, New York City and Seattle. The better measure of population growth is the percentage change, and by that measure, the Houston suburb of Conroe, Texas tops the list, with a one-year population growth of 7.8 percent, to 82,286. Two Dallas suburbs rank just behind Conroe for biggest percentage population growth, Frisco and McKinney. 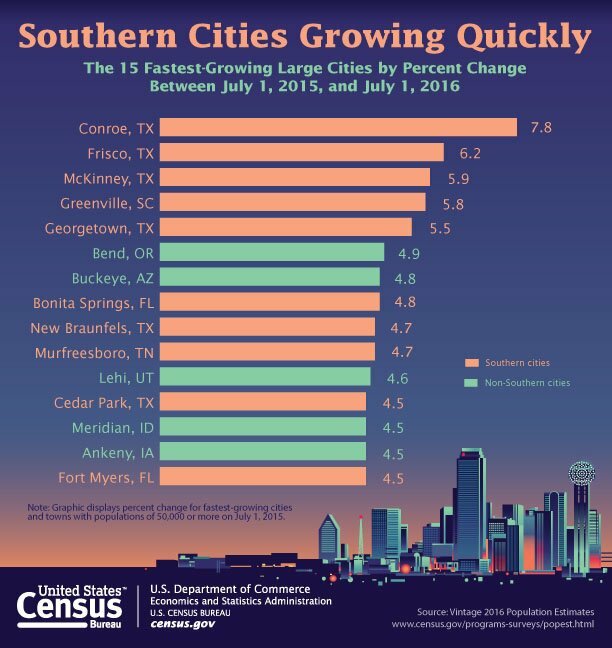 Out of the 15 fastest-growing cities, based on percent change, only one was outside the South or West. The Des Moines, Iowa suburb of Ankeny grew by 4.5 percent in that one year period. Below is a table of the 15 fastest growing cities between 2015 and 2016, by percent growth, from the U.S. Census Bureau.